The Back to Nature Network is proud to support this year’s Healthy Hikes, an annual initiative of Conservation Ontario. Each year, the initiative runs in partnership with Ontario’s 36 Conservation Authorities and other similarly-minded organizations. 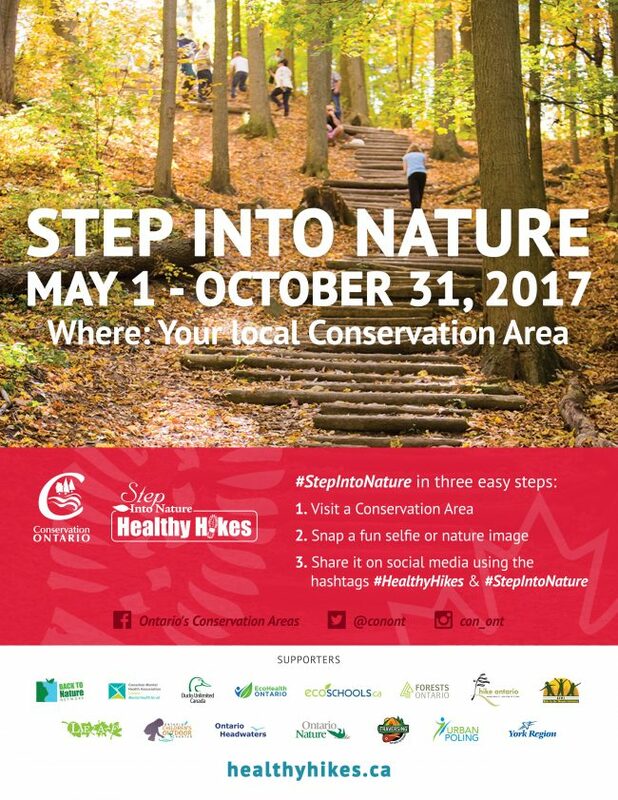 The initiative encourages Ontarians to step into nature at their local Conservation Areas from May to October. Everyone is encouraged to participate in Healthy Hikes as a great way to get outdoors, spend time alone or with friends/loved ones. This year’s Healthy Hikes will be even bigger and better than ever with the accompanying Healthy Hikes Web Map! The purpose of this application is for hikers to share their fun hiking experiences in Conservation Areas across Ontario and to promote the value of Conservation Authorities as it relates to public health. We can’t wait to see your healthy hikes – hope to see you outdoors soon! This entry was posted in and tagged Conservation Authorities, Conservation Ontario, Healthy Hikes, May, nature, October, outdoors, selfie, social media, StepIntoNature, web map. Bookmark the permalink.